Sometimes, you may see the price of a vehicle and think that it looks too high because the features and capabilities don’t seem to match it. This shouldn’t be the case when Mandeville, LA, drivers look at Porsche Cayenne pricing. This vehicle will exceed your expectations when it comes to performance, durability, reliability, comforts, and quality. It’s not surprising why it’s one of the most popular models in its class and why it continues to exceed expectations. Test-drive one today. As far as SUVs go, it’s hard to find something that has the power and strength of a Cayenne. When you get serious about Porsche Cayenne pricing, you should check out the 3.0-liter, 24-valve, V6, DOHC engine and see what it can do for you. It puts out 331 foot-pounds of torque at 1,340 rpm as well as 340 horsepower at 5,300 rpm. You’ll drive across all kinds of terrain in your Cayenne, but you shouldn’t have to worry about sluggishness or stalling in the amazing SUV. Whether you’re traveling across the country on a road trip, or whether you’re simply taking care of everyday tasks in Mandeville, LA, you need plenty of space inside your SUV to handle your belongings and materials. The Cayenne has a maximum cargo capacity of 60.3 cubic feet and a cargo capacity of 27.1 cubic feet with all the seats in place. Another important factor is the ability to tow and handle heavy loads. It can tow up to 7,700 pounds and has a maximum payload of 1,862 pounds. You know that the tires and wheels will bear the brunt of wear and tear. When you take advantage of Porsche Cayenne pricing and purchase a new model, you’ll get 19-inch-by-9.5-inch alloy wheels. You’ll also love the all-season tires. Your Cayenne is a beautiful vehicle, and you can customize it to fit your style and preferences. You can pick one of 10 exterior colors, any of which will stand out as you drive in Mandeville, LA. Also, you can choose among eight interior colors, including light, dark, and medium-shade options. Last but not least, wait until you see the entertainment features. New Porsche Cayenne pricing gets you three months of free Satellite Radio service, not to mention 10 total speakers and a USB connection. 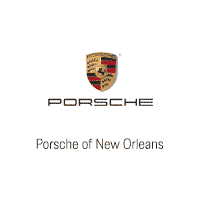 It’s time to make it to Ray Brandt Porsche and shop for your next SUV to drive home to Mandeville, LA. The team will discuss Porsche Cayenne pricing with you and fit you with the ideal model.